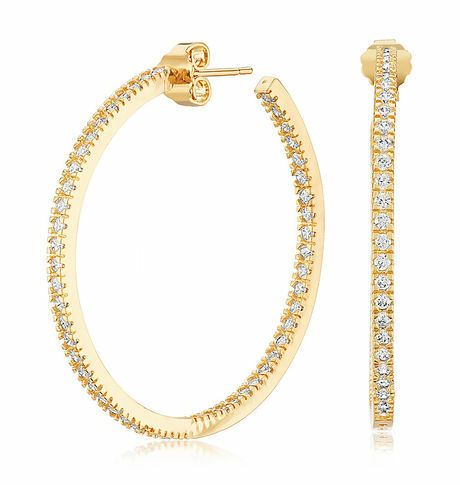 Jazz it up with this lovely pair of sleek and classy golden hoops. They are encrusted with tiny cubic zirconia stones. Add glamour to your style flaunting them. Beautiful and light, these hoops make perfect gifts for someone special Gold finishCancellation and Return Policy: • Exchange allowed post booking • No order cancellation or Refund transaction allowed at the store.